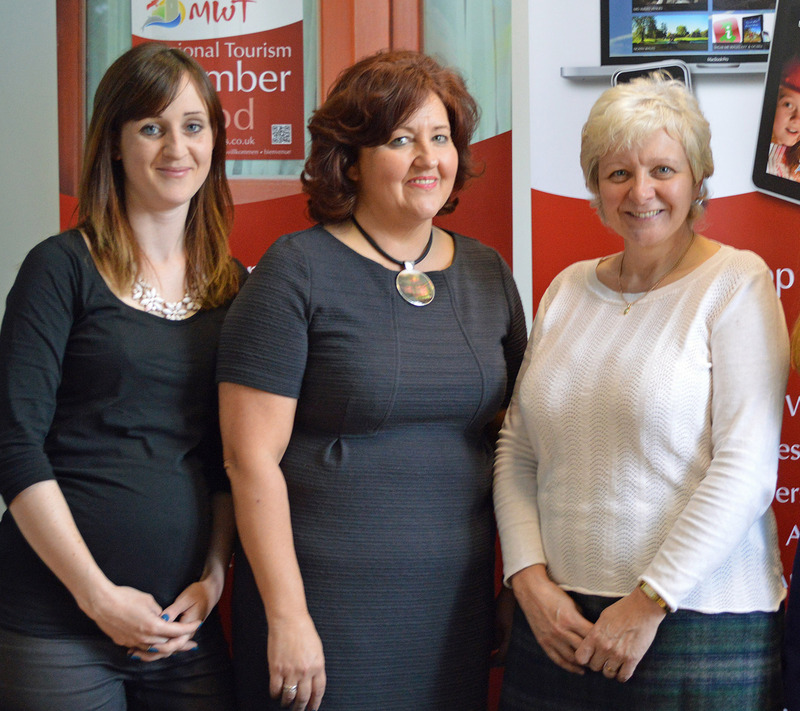 Two new staff join the tourism team at MWT | News by Wales Express News, People Before Profit! An independent organisation that represents 600 tourism and hospitality businesses in Powys, Ceredigion, Meirionnydd and South Wales has welcomed two members of staff to its team. Sioned Pugh joins MWT, based at the Station Building in Machynlleth, as membership and networks executive and Gemma Howells is membership and marketing administrator. The new team at MWT (from left) Gemma Howells, Sioned Pugh and chief executive Val Hawkins. They join a small team led by chief executive Val Hawkins, who is looking to increase membership across Mid and South Wales. Anne Lloyd-Jones, MWT’s chairman, welcomed the two new staff members and said she looked forward to working with them to strengthen the capacity of the team. Sioned, who lives in Machynlleth, previously worked with Welsh for Adults at Aberystwyth University, was co-ordinator for Mid Wales Food and Land Trust for eight years and was Farming Connect farm diversification project co-ordinator for Menter a Busnes. Prior to that, she was involved in a family business, Madian Quads at Penegoes, when she was a member of MWT. “Working for MWT is going back to my roots, as I’m involved with food and tourism again,” she said. Her role is to attract new members, service existing members and liaise with tourism networks across Mid Wales. Gemma, who lives in Cwmrheidol, near Aberystwyth, was previously an account manager for a biochemistry company in Caerphilly and is originally from Droitwich. Her husband, Gethin, is a cardiac physiologist at Bronglais Hospital, Aberystwyth. “I was attracted to MWT because I wanted to make a positive contribution to the tourism industry in Mid Wales,” she said. She helps provide the Guestlink helpdesk at MWT and advises members about additional services available to them, such as online booking and e-commerce. Guestlink is an online business management system for all kinds of tourism businesses.